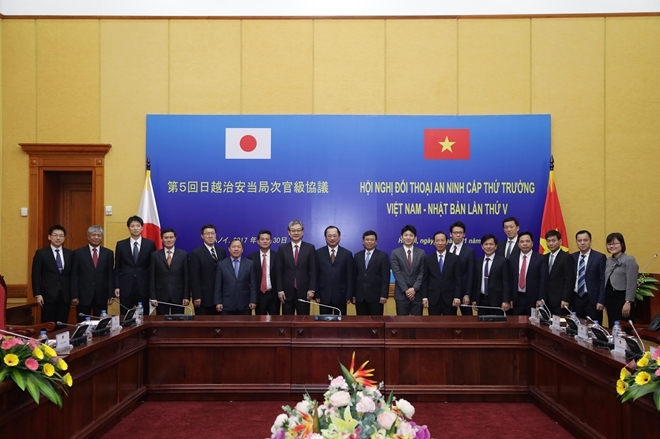 The Vietnamese Ministry of Public Security held the fifth Vietnam-Japan Deputy Ministerial Security Dialogue on November 30 in Hanoi. 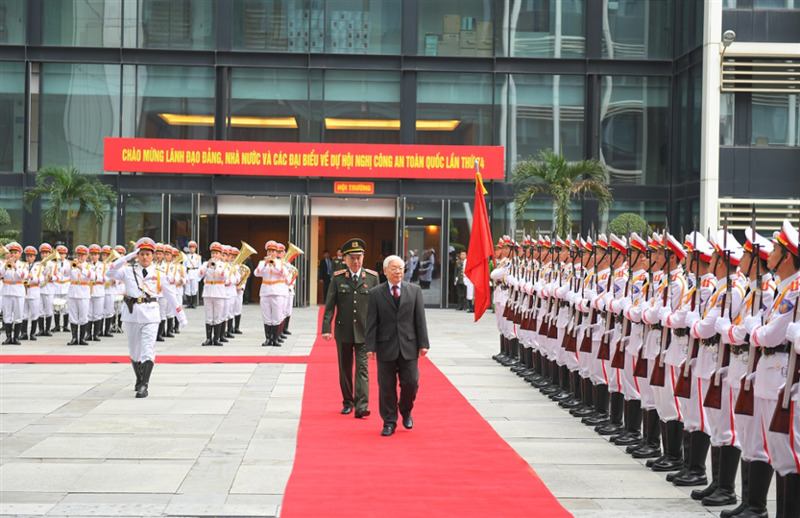 A delegation of the Vietnamese Ministry of Public Security led by Senior Lieutenant General Nguyen Van Thanh, member of the Party Central Committee, Deputy Minister of Public Security on November 28 visited and congratulated the Lao Embassy in Vietnam on the 42nd National Day of Laos (December 2, 1975-2017). 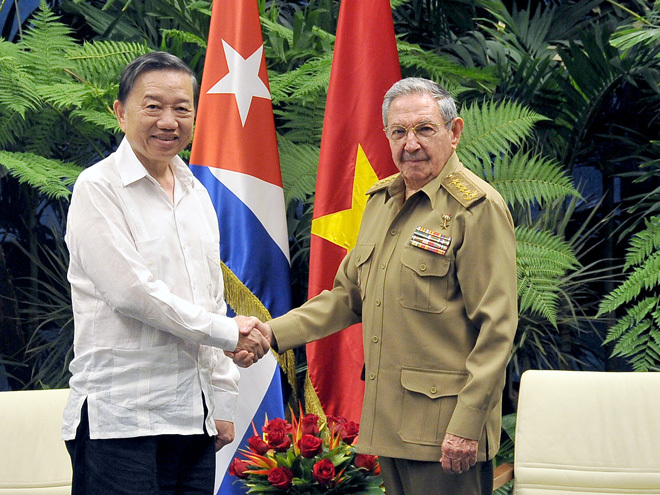 General Raúl Castro, First Secretary of the Cuban Party Central Committee, Chairman of the State Council of Cuba and the Council of Ministers on November 28 received Senior Lieutenant General To Lam, Politburo member, Secretary of the Central Public Security Party Committee and Vietnamese Minister of Public Security who is on an official visit to the country. 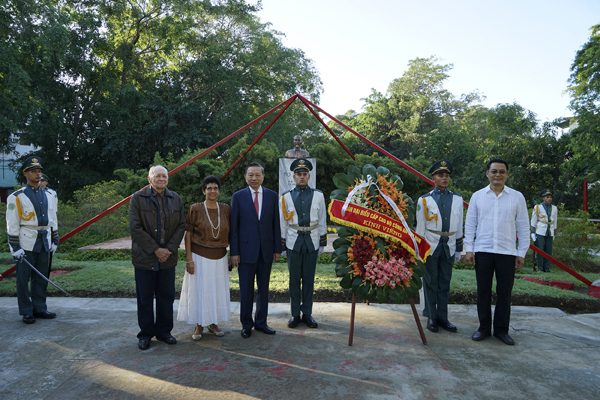 As part of the activities during his official visit to Cuba from November 26-28 (local time), Senior Lieutenant General To Lam, Politburo Member, Minister of Public Security led a high-ranking delegation of Vietnam's Ministry of Public Security (MPS) laid wreaths at the Ho Chi Minh Monument in Peace Park, Havana, Cuba, on November 28. 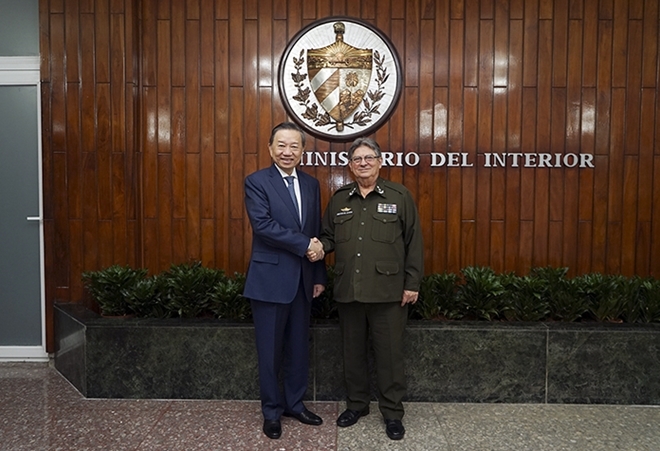 A high-ranking delegation of the Ministry of Public Security, led by Senior Lieutenant General To Lam, Politburo member, Minister of Public Security on November 27 paid an official visit to Cuba, at the invitation of the Cuban Minister of Interior Gandarilla Bermejo. 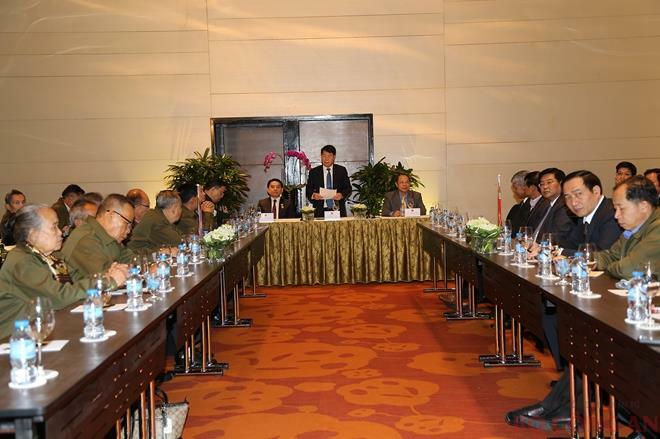 The Ministry of Public Security on November 23 held a reception in Hanoi to receive the aid package donated by the Chinese-Taiwanese Pou Chen International Group (China) that target children of needy police officers and soldiers in remote areas in Northern mountainous provinces. 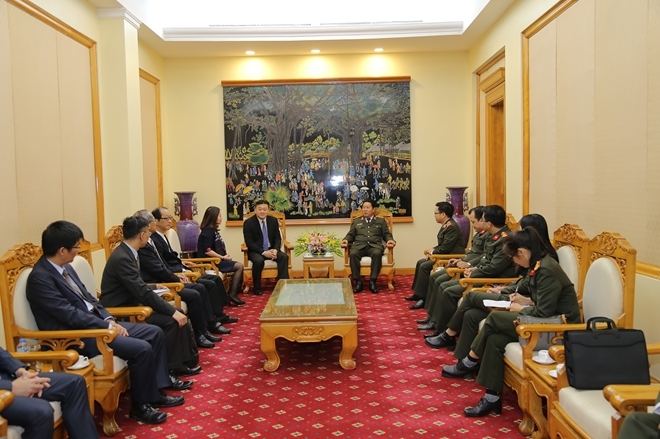 Senior Lieutenant General Bui Van Nam, member of the Central MPS Party Committee, Deputy Minister of Public Security on November 23 received a visiting delegation of the Laos-Vietnam Friendship Association. 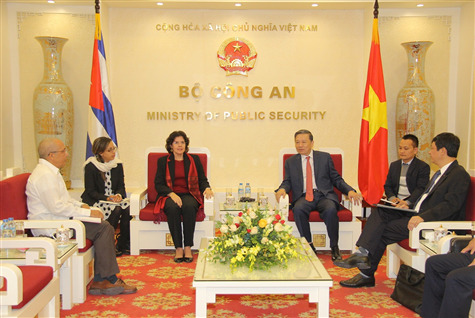 Senior Lieutenant General To Lam, Minister of Public Security, received Ms. Lianys Torres Rivera, newly accredited Ambassador of Cuba to Vietnam. 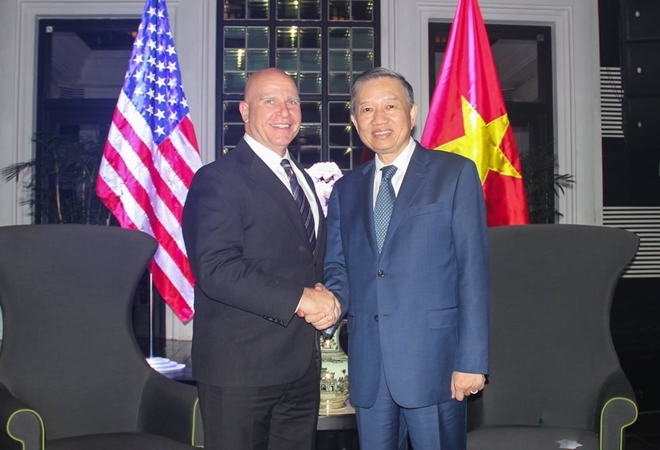 Minister of Public Security of Vietnam To Lam on November 11 received US National Security Advisor H.R. McMaster when he was accompanying the US President to the APEC Summit in Da Nang and on his State visit to Vietnam. 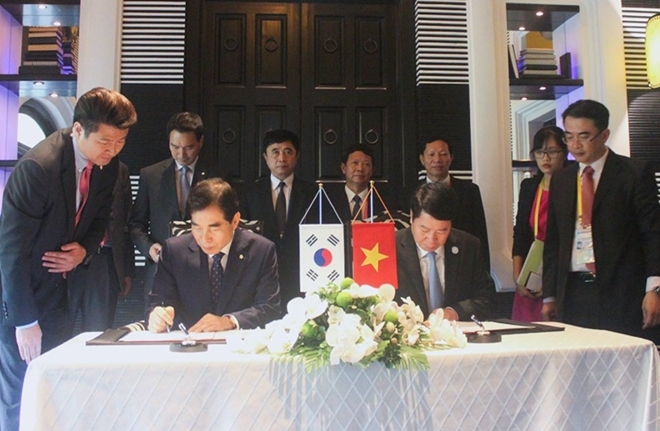 Deputy Minister of Public Security Bui Van Nam and Mr. Ju Young Hoon, Director of Security Agency for Presidential Palace of the Republic of Korea (RoK) signed a memorandum of understanding (MOU) on cooperation in guard force between the Ministry of Public Security of Vietnam and the RoK Agency on November 11.